This looks adorable! My son was actually the first Olivia fan in the house and now that my daughter is getting a bit older she's falling in love with the show and the books. With Christmas coming up, this may be right up her ally! Thanks for the fantastic review! 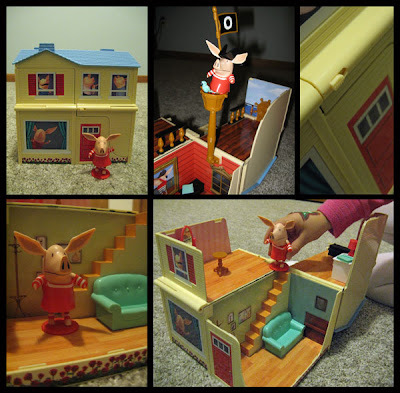 I've been searching to find a Ian and William dolls -- my son is obsessed with them. However, since I can't find them, I am thinking about trying to get different-sized Olivias and dress them as the brothers. Are the clothes on this line of dolls removable? I really appreciate the help! In not sure about the entire line, but I can let you know about the one that came with the set. Olivia's dress made of a rubbery plastic and you can remove it. However her underwear and tights are painted on. An Olivia and her Complete Family Doll Set is available from ToysRus. It doesn't look like exactly the same kind of doll as the one in the playset, but at least you'd have the entire family. I just realized you may be asking about the plush doll. 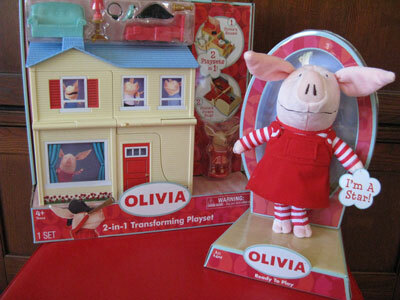 We have the Everyday Outfit Olivia and her red cloth dress is removable, however her striped tights and shirt are not. Not sure about the others in the plush line.